Stokedinc. 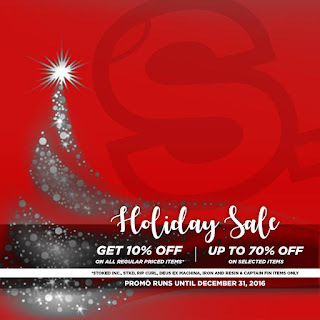 and Rip Curl shops nationwide give you 10% OFF on all regular-priced items and up to 70% OFF on great selections. 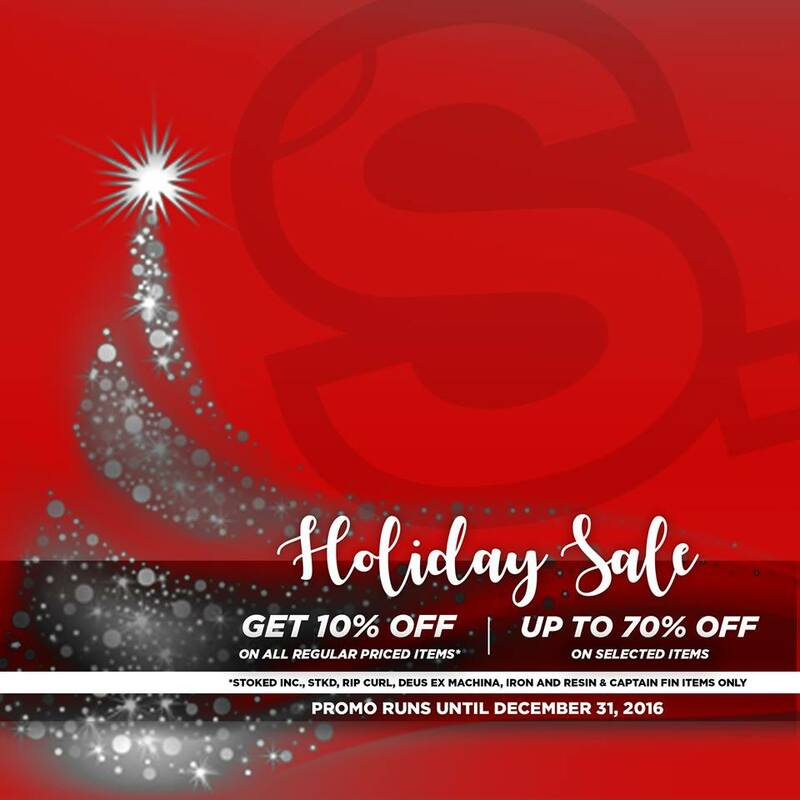 Hurry, Rip Curl & Stokedinc's Holiday SALE runs until December 31, 2016!